Bases are used to elevate the machine and/or coffee grinder for aesthetic purposes. Some include a built-in knockbox in the drawer and some have only a draw to store most accessory items. Knockboxes are used to ‘knock out’ to the spent ground coffee out of the portafilter (filter handle) so the next espresso can be prepared. In most cases, there is a rubber bar that the portafilter basket makes contact with. 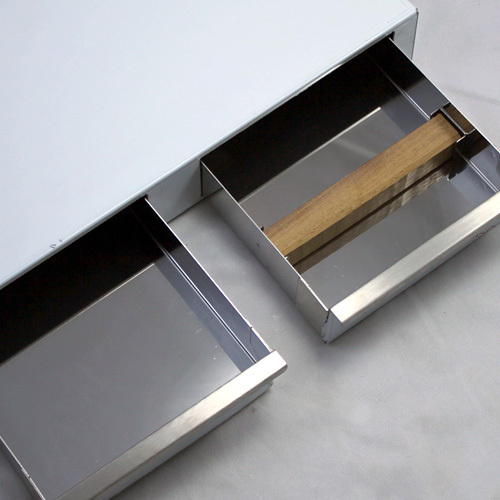 The knockbox should be cleaned minimum once per day or when full.